I haven’t been blogging as much as I wanted to lately, and a lot of that is because this is what I call deadline season. I’m a teacher, which means a final push of lesson prep and exams near the end of our semester; I’m an administrator, which means there are reports and budgets due this time of year; and I’m an indie author with both a successful Kickstarter campaign and a co-authored serial novel, which means I have tons of editing, revising, and formatting to do on top of my day job. And finally, some of that is done. A few weeks ago, Austin and I published Part Four of Nimbus, the final installment of our serial novel. 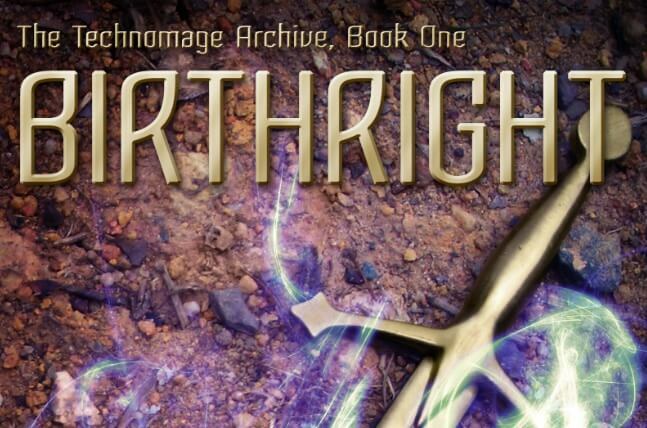 And today, I sent out the Kickstarter ebook copies of Birthright, the first book in my science-fantasy trilogy called The Technomage Archive. And by finalizing them for Kickstarter, that meant I finalized them for Amazon, too. I’m kind of a nervous wreck about it finally being available for sale after three years of writing, editing, rewriting, revising, and going slightly crazy. But I finally just had to let Birthright go and move on to the next book in the series. Which if everything goes well, will be out around Christmas. So just what is Birthright about? Glad you asked! Here’s the back-cover copy for ya! Damien Vennar used to be a god. As a technomage of the Charonic Archive, Damien had the power to create entire universes. Then, five hundred years ago, he gave it all up. He suspended the nanites that made up his bloodstream and began to age—and eventually die—like anyone else. For centuries, Damien has lived among those who once worshipped him, his real identity fading into myth and legend. 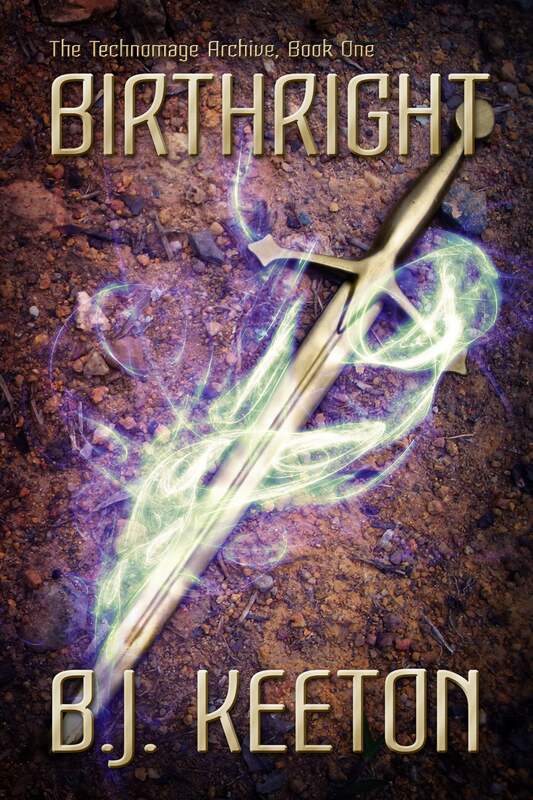 So if you’re interested in it, head over to Amazon and check out Birthright. There will be softcover copies available for purchase eventually, but that takes a bit more finessing than the ebooks do. And now…I’m going to collapse and curl into a little ball of nerves while I wait on people to read and post reviews about my baby–my awesome, awesome baby. Cool! Is the book available in ePub format anywhere?